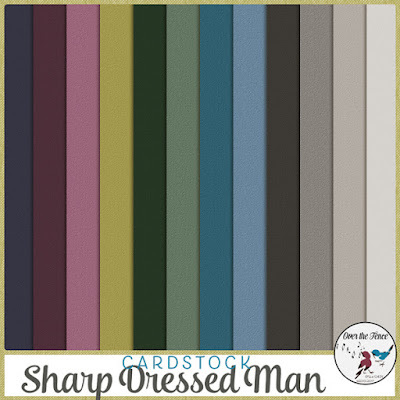 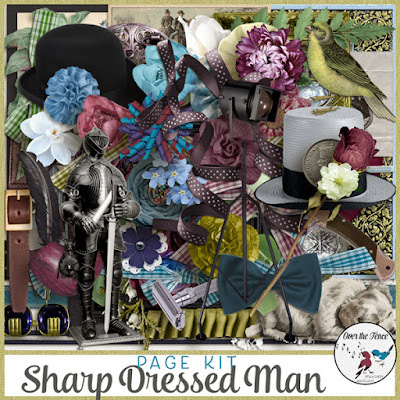 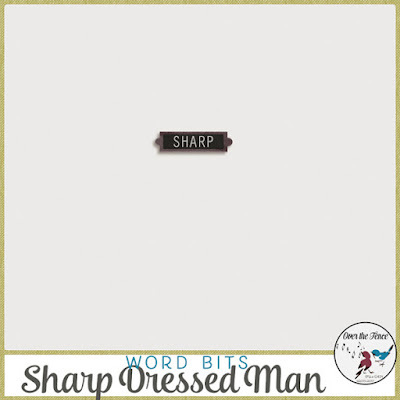 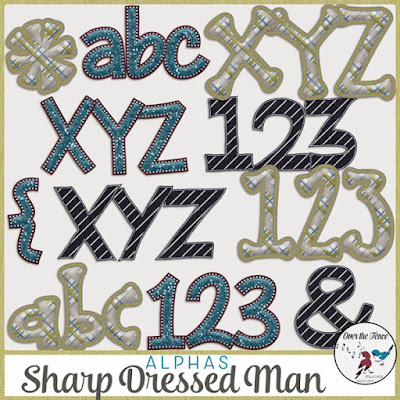 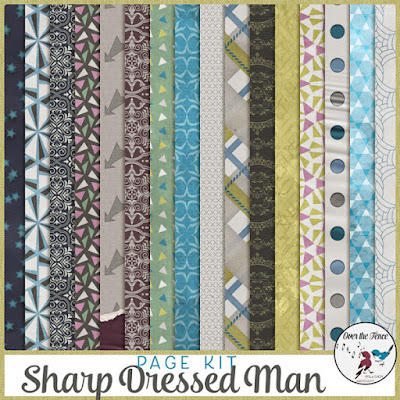 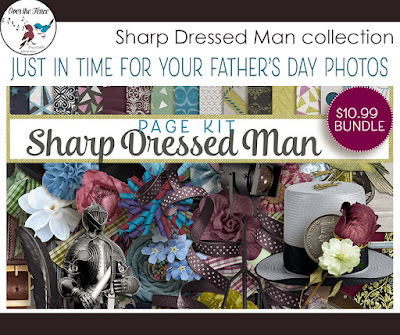 This collection is perfect for all the Sharp Dressed Men in our lives. 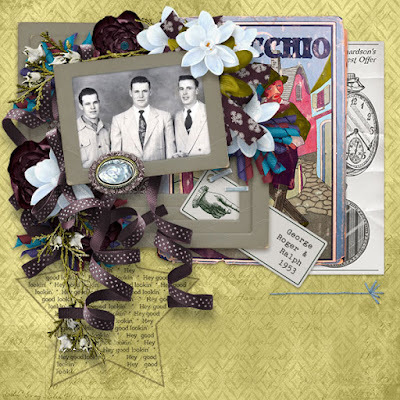 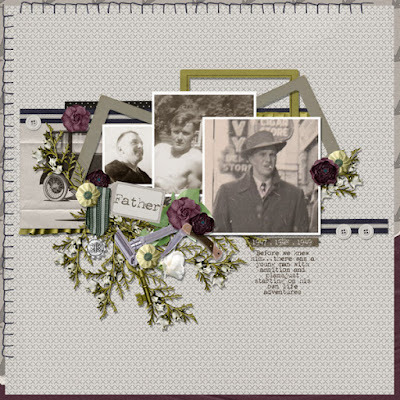 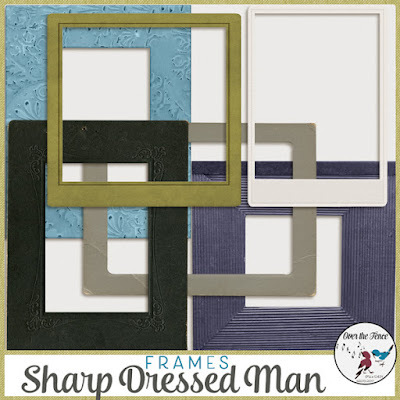 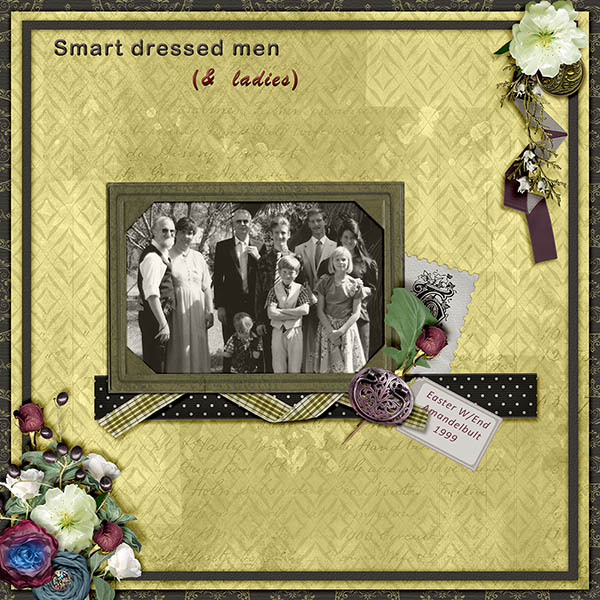 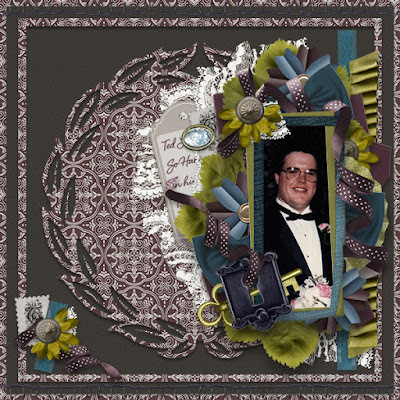 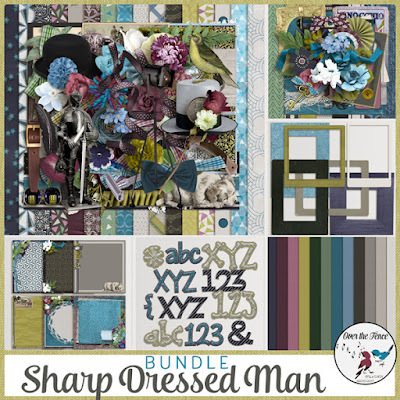 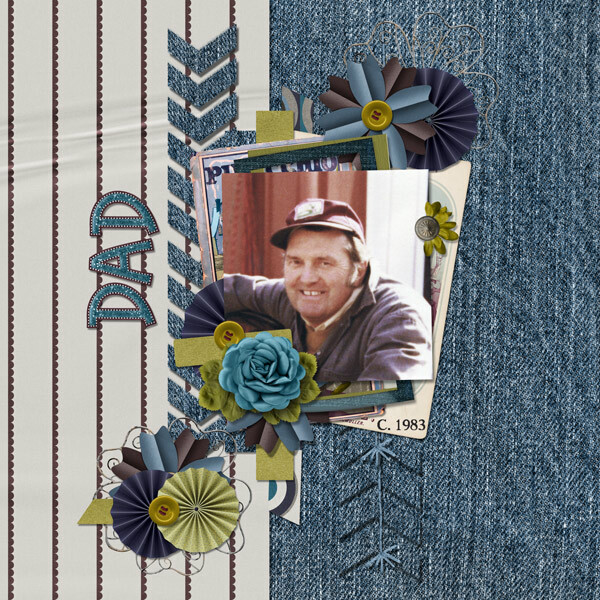 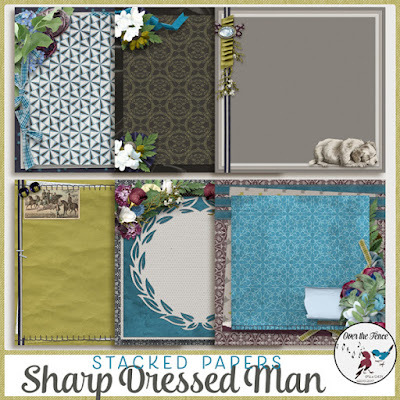 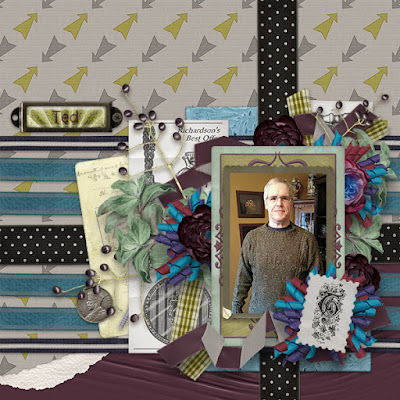 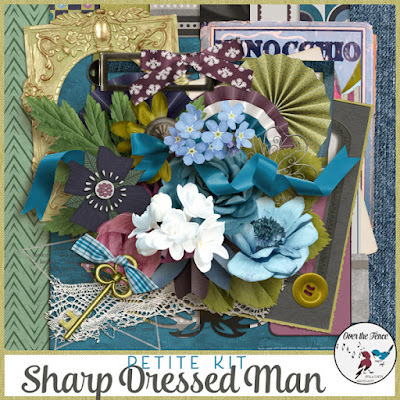 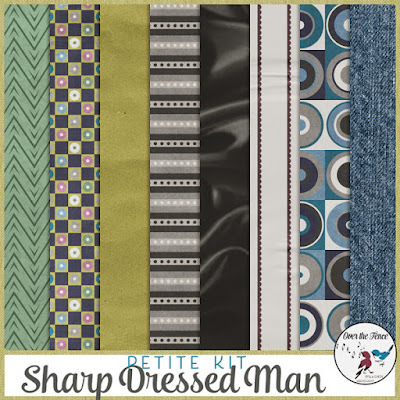 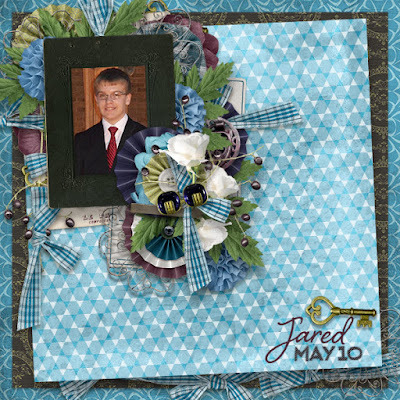 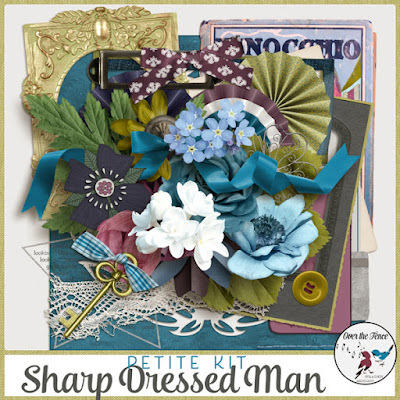 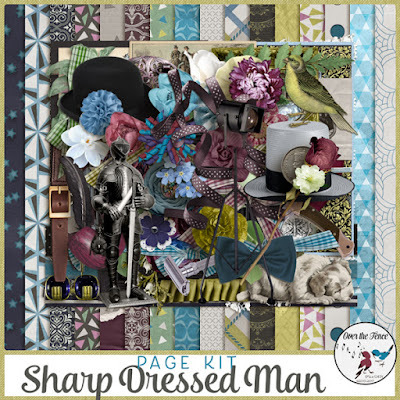 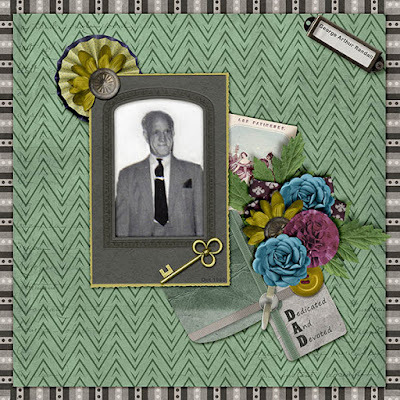 With a palette of chartreuse, teal, blue, green, wine, charcoal, taupe, chalk, and deep blue-plum it says "manly", and the elements are an eclectic mix of vintage and modern for a fun scrapping experience. 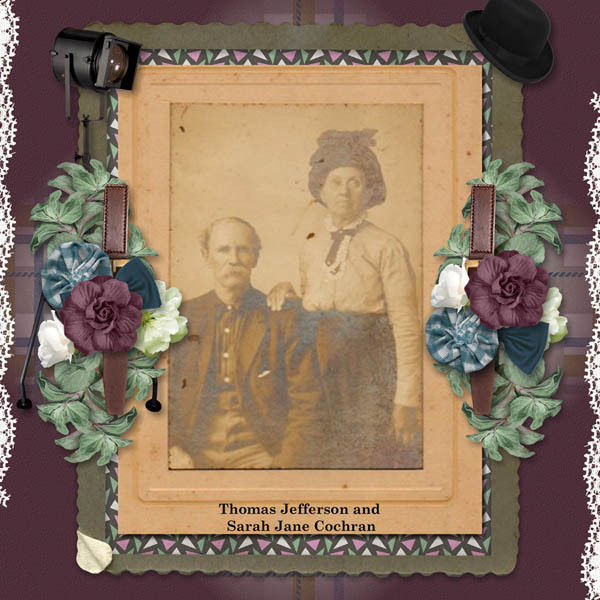 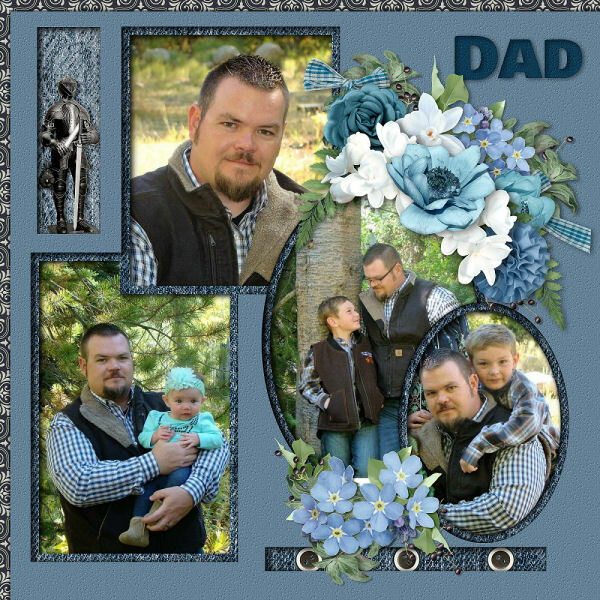 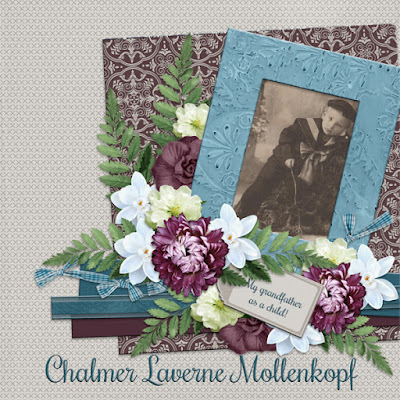 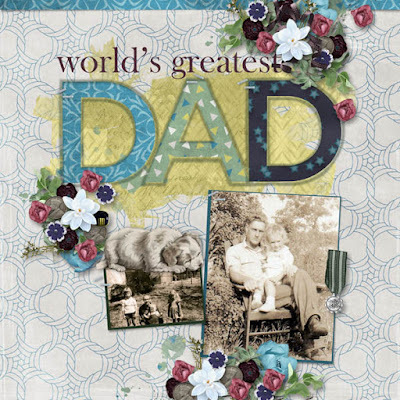 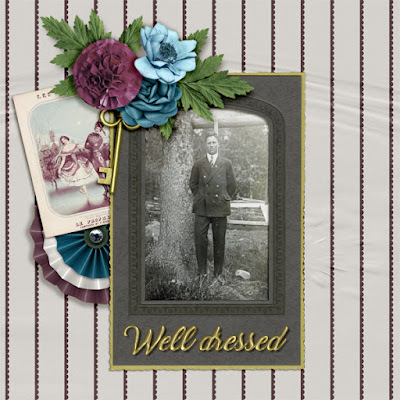 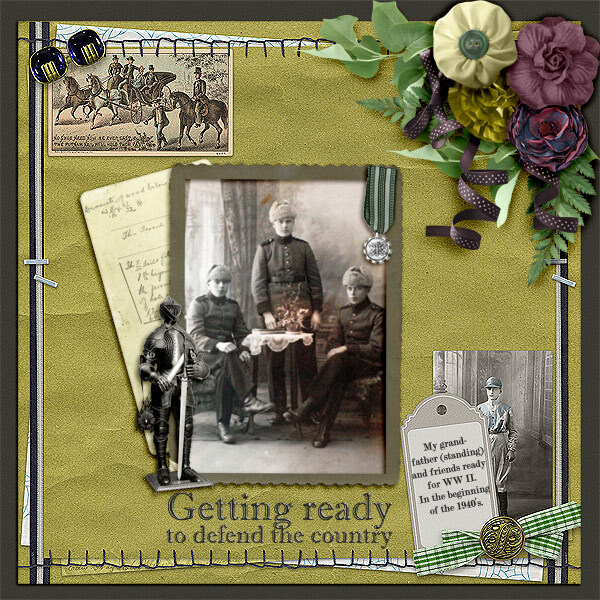 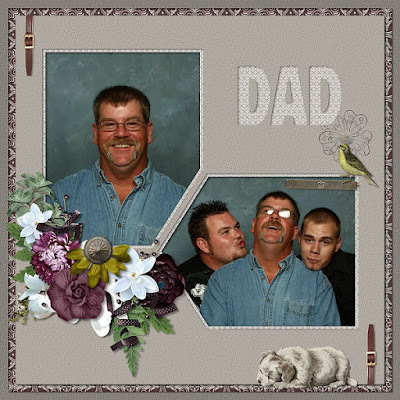 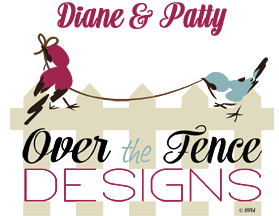 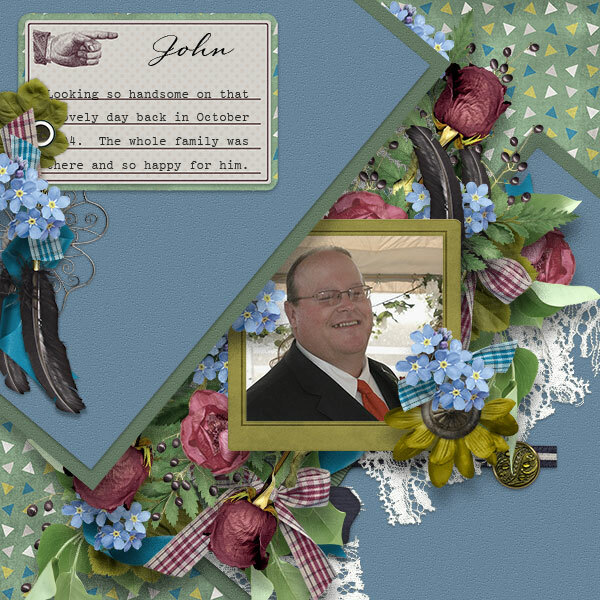 There are flowers & ribbons & foliage so you can scrap the ladies in the family too. Thanks so much for stopping by, we hope that you enjoy using your freebie!